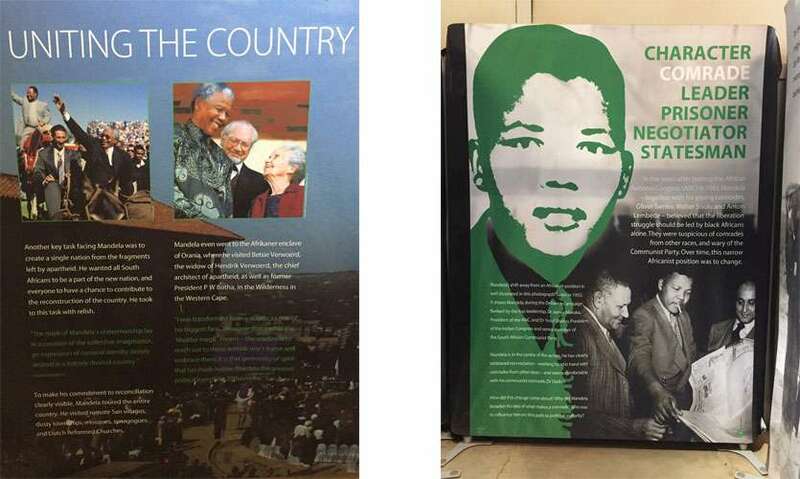 This year marks the 100th birth anniversary of Nelson Mandela and South Africa is marking this occasion by highlighting 100 important places in Nelson Mandela’s life. The Nelson Mandela capture site is one of these locations. Just outside of Durban past the affluent area of Pietermaritzburg, the capital and second largest city in the province of KwaZulu Natal, is Howick. Through this town runs the R103 a historic route which takes you past the rolling countryside of Howick to the Nelson Madela capture sight. R103 is a road that is steeped in history and the site is significant in the history of the freedom struggle as that is where Nelson Mandela began his incarceration which lasted for 27 years. 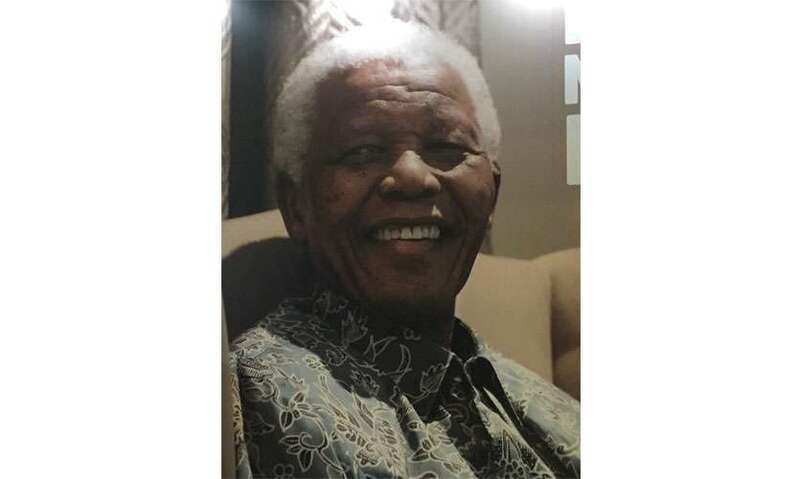 Mandela had been on the run for 16 months and had travelled to the region for a clandestine meeting with African National Congress President Chief Albert Luthuli. Mandela was meeting Luthuli to report back on his time abroad which included his military training in Morocco and Ethiopia and also a visit to London to garner more support for the armed struggle. On August 5th 1962, the armed apartheid police flagged down a car which was driven by Nelson Mandela clad in a chauffeur’s uniform. He was driving on the R103 road near Howick in KwaZulu-Natal en route to visit Albert Luthuli. For the police this was a prized catch. When questioned by the police, Mandela had responded that he was David Motsamayi. However the police knew they had chanced upon the most wanted man in South Africa and he was arrested on the spot. 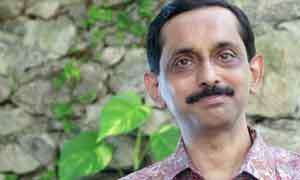 He was later put on trial for leaving the country without a passport and inciting a strike. On 7th November 1962 Nelson Madela was sentenced to five years in prison which was just the start of his long incarceration. The solitude of the capture site belies the historic drama it witnessed on 5th August 1962. 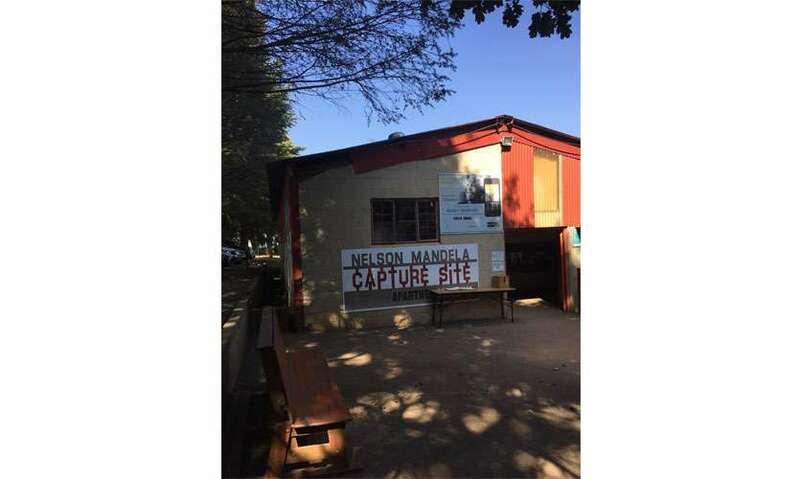 Until the 50th anniversary of Mandela’a capture in 2012 there was only a small plaque to mark the site. However artist Marco Cianfanelli was commissioned to make a sculpture which now marks this historic site. One of KwaZulu-Natal’s most visited tourist sites, this sculpture stands at the end of a long walk. The narrow brick path which leads visitors from a mini Mandela museum to the sculpture is called the long walk. On the side of this path historic occasions in Mandela’s life are marked. At a distance the sculpture yields a view of long steel beams which reveals itself at the 35 metre mark. At this point the steel beams line up to create the illusion of a stunning portrait of Nelson Mandela. 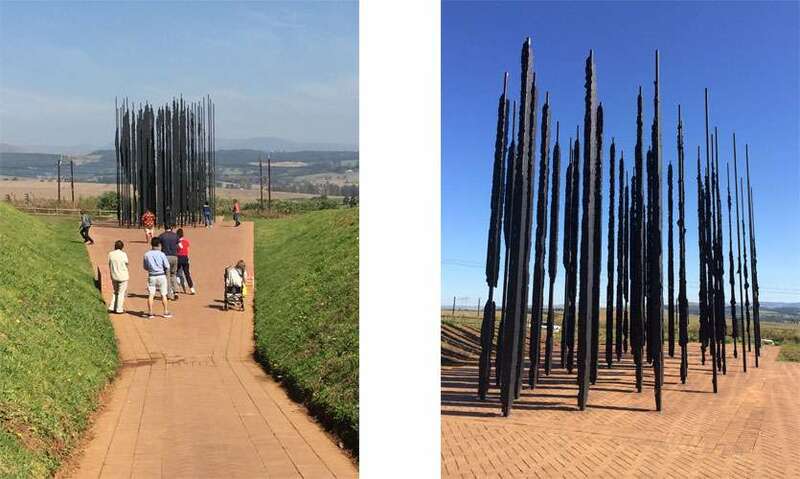 In his sculpture Marco Cianfanelli has used 50 columns which represent the 50 years since Mandela’s capture and suggest the idea of many making the whole thus creating an image of solidarity. The sculpture is affected by the surrounding landscape, visually shifting throughout the day. The site also has a self guided Apartheid Museum and relates the story of Mandela’s life and struggle to create a free South Africa. The rolling hills and verdant landscape provide a stunning backdrop for Marco Cianfanelli’s sculpture. Despite the busy road, the quietness of the site exudes an aura of somberness. 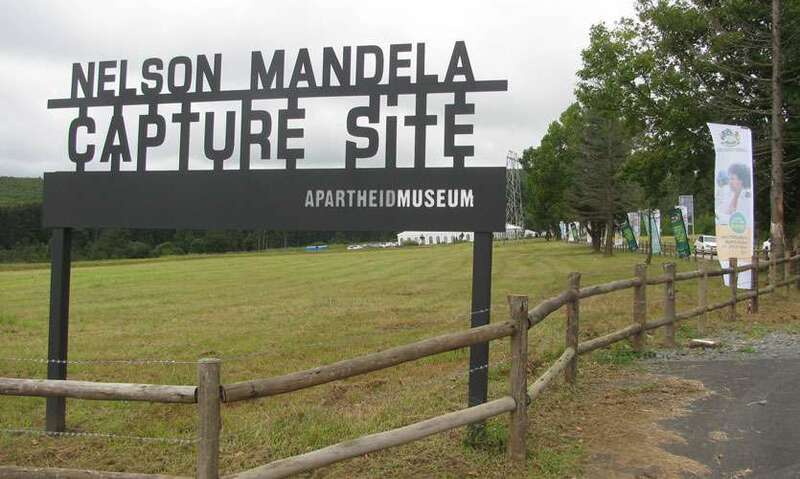 Visitors to Durban should make the Nelson Mandela capture site an inclusion in their itiniery.